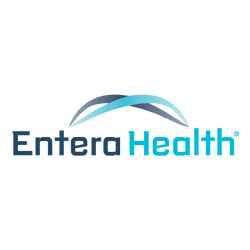 STUDY PUBLISHED FOR ENTERAGAM™ (SERUM-DERIVED BOVINE IMMUNOGLOBULIN/PROTEIN ISOLATE, SBI) AS A NEW THERAPY IN THE NUTRITIONAL MANAGEMENT OF DIARRHEA-PREDOMINANT IRRITABLE BOWEL SYNDROME (IBS-D) - Entera Health, Inc.
CARY, NC (Business Wire - December 12, 2013) – Entera Health, Inc. announced today a paper entitled, Evaluation of Serum-Derived Bovine Immunoglobulin Protein Isolate in Subjects with Diarrhea-Predominant Irritable Bowel Syndrome, authored by Dale Wilson, MD; Malkanthi Evans, PhD; Eric Weaver, PhD; Audrey L. Shaw, PhD; and Gerald L. Klein, MD has been published in the journal Clinical Medicine Insights: Gastroenterology. The paper summarizes a study that investigated the ability of serum-derived immunoglobulin/protein isolate (SBI) – the ingredient found in EnteraGam™ – to serve as a new therapy in the nutritional management of diarrhea-predominant irritable bowel syndrome (IBS-D) and expand the options for multimodal approaches to addressing the underlying pathophysiology of the disorder under physician supervision. The study showed that nutritional therapy with either 10 g/day or 5 g/day of SBI in 30 patients was well tolerated and resulted in statistically significant within-group improvements in days with symptom and a trend for improvement in symptom severity scores in subjects with IBS‑D. The article can be viewed HERE. Irritable bowel syndrome (IBS) is a complex and commonly diagnosed gastrointestinal (GI) disorder characterized by recurrent abdominal pain or discomfort associated with altered bowel habits that negatively affects patients’ daily activities and quality of life. Symptoms may include abnormal stool form or frequency, defecation straining, bloating, urgency, feelings of incomplete bowel movement, and passing mucus. Population-based studies indicate that the worldwide prevalence of IBS is approximately 10% to 20%. Several categories of IBS are recognized based on predominant bowel habit and stool form: constipation-predominant (IBS-C), diarrhea-predominant (IBS-D), and mixed IBS (IBS-M), individuals with both constipation and diarrhea. While the cause of IBS is still largely unknown, a variety of factors have been considered to play a role, including genetics, infections, psychosocial factors, diet, and changes in gut motility or barrier function. Recent studies have also highlighted the potential role of low grade inflammation, often in association with alterations in the microbiota composition or metabolism, which may cause changes in gut barrier function with increased permeability and subsequent malabsorption of water, electrolytes, and nutrients. Such factors or host system changes can lead to alterations in nutritional status, which can further contribute to symptoms. Unfortunately, most therapies that are currently used to manage patients with IBS are aimed at lessening symptoms rather than the underlying cause of the disorder, which has led to an increased interest in multi-modal therapeutic approaches aimed at restoring intestinal health and nutritional status. EnteraGam™ is a new prescription medical food product to help people manage ongoing problems with chronic loose and frequent stools (diarrhea). EnteraGam™ is required to be used under physician supervision as part of ongoing medical care for a specific condition or disease. EnteraGam™ is indicated for the clinical dietary management of enteropathy in patients who, because of therapeutic or chronic medical needs, have limited or impaired capacity to ingest, digest, absorb, or metabolize ordinary foodstuffs or certain nutrients. Entera Health, Inc. is focused on improving worldwide health through the development of clinically safe biotherapeutics to address unmet needs. Our passion is to help people thrive through healthier living. Our motivation for conducting basic research, clinical studies, and appropriately educating patients and healthcare providers is driven to meet this goal. Visit us at http://www.enterahealth.com/.